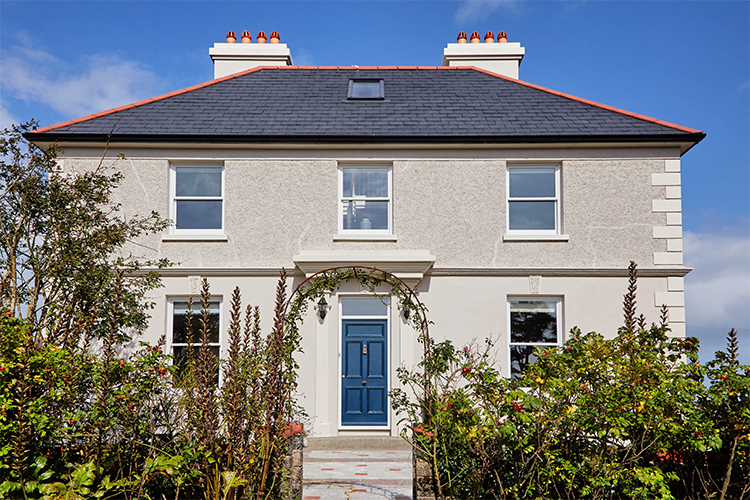 Signature Windows & Doors was approached by a Dublin homeowner to help bring her vision to life for her Edwardian holiday home in West Cork. The homeowner had been visiting the beautiful area of West Cork every summer since 1987 so decided to buy a holiday home in 2011. 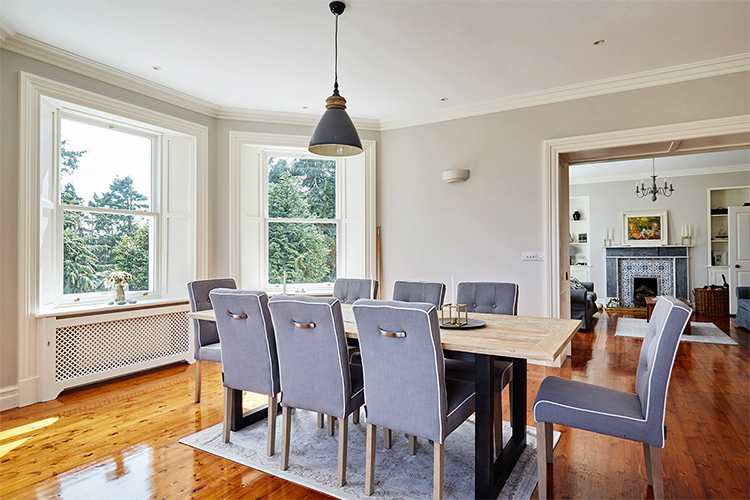 Originally a rectory for the local priest, the home’s architectural design consists of Edwardian features such as pastel colour interiors and high ceilings. To accommodate their family, the homeowner decided to build a large extension to the home in 2016. 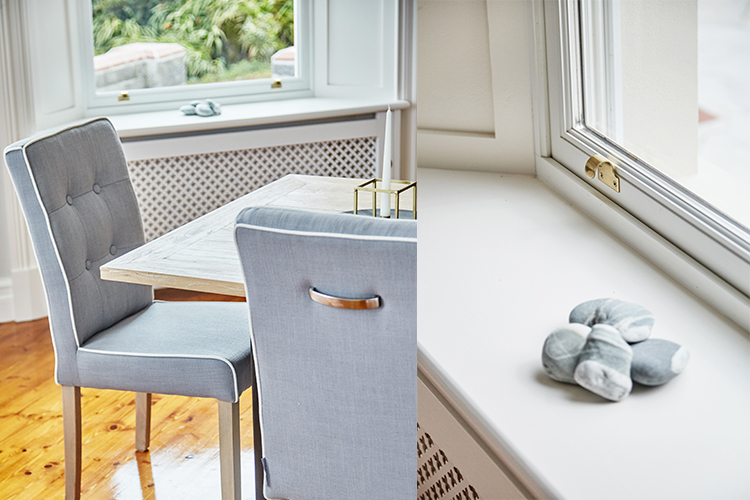 The vision of the homeowner was to transform the home both inside and outside to their personal taste. The homeowner decided to build a large extension at the rear of the building in 2016 with the focus being able to take full advantage of the surrounding cinematic views. A stunning balcony allowed the homeowner to observe passing ships during the day and gaze up at the twinkling stars in the evening. This dream-worthy holiday home is approximately 730 sq. 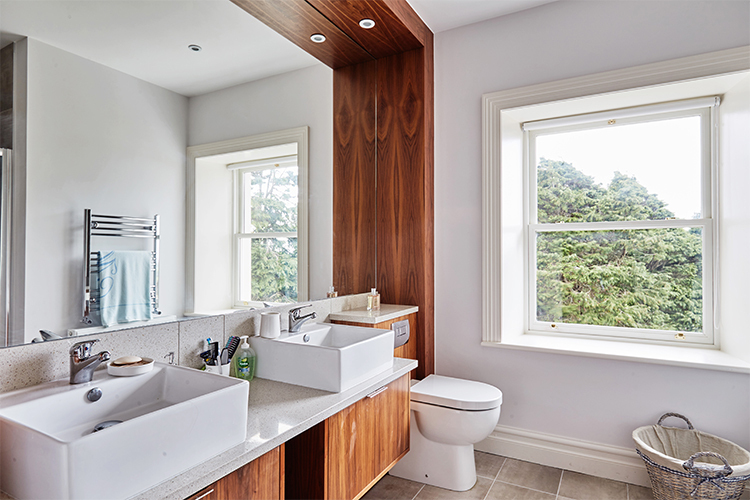 meters, with panoramic views of the gentle hills full of colourful trees and plants surrounding the home and a blue-tint of the Atlantic sea in the horizon. 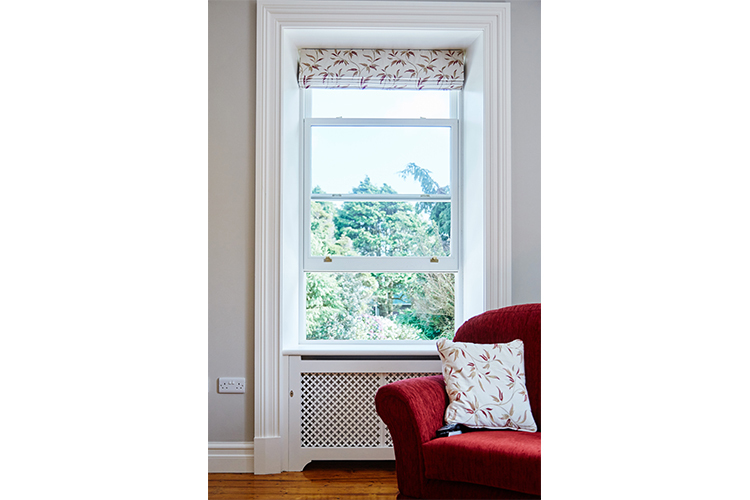 The original wooden single glazed windows presented many problems for the homeowner such as rotten timber and poor energy efficiency which caused drafts in the home. 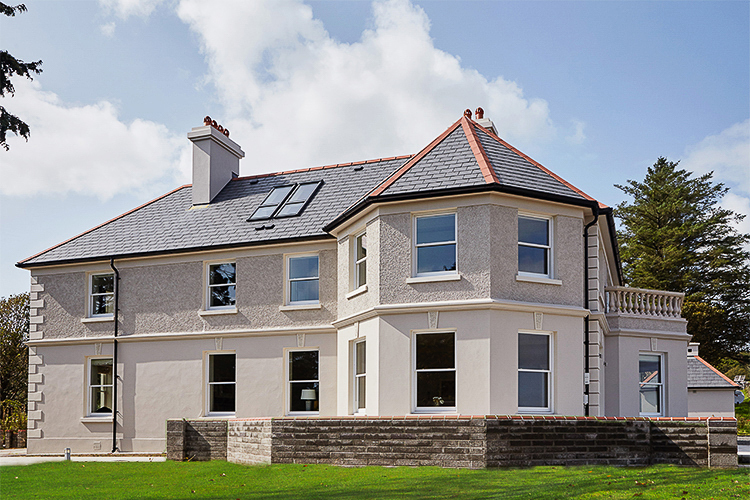 The client wanted to improve the kerb appeal of her home and understood that windows are a key feature of any building. 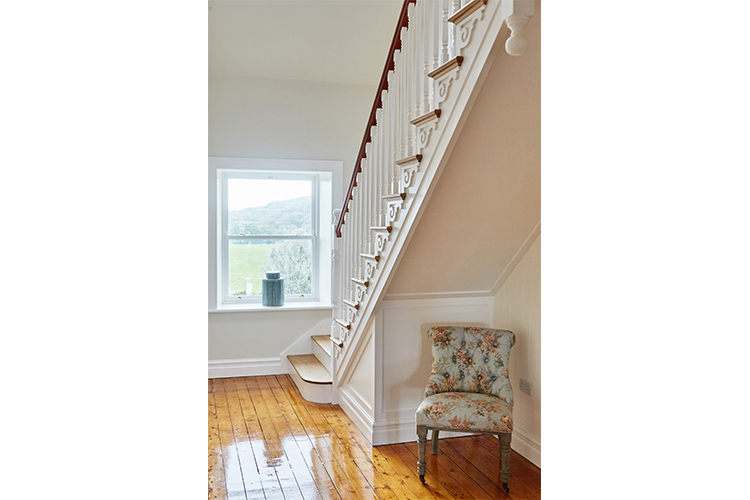 Increasing energy conservation was also a very important requirement for the homeowner as they wanted to reduce their energy bills for their holiday home and improve overall comfort for the family. 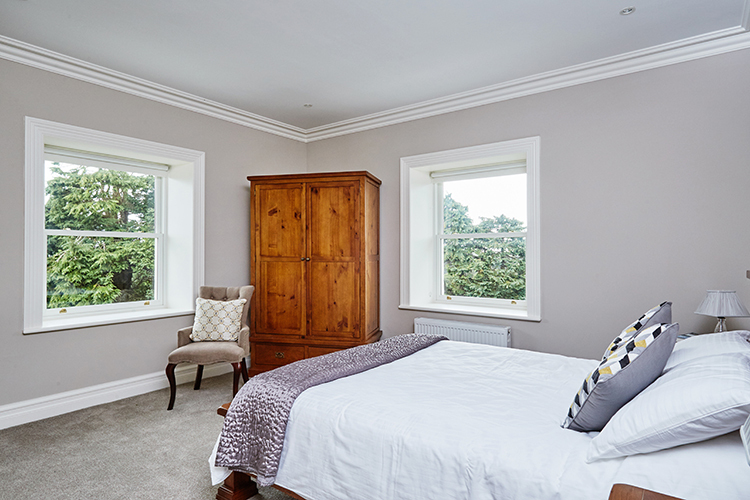 The home was situated in a conservation area so the homeowner had to seek permission first to replace their historic wood windows with a more contemporary and low maintenance solution such as aluminium clad wood and double glazing. 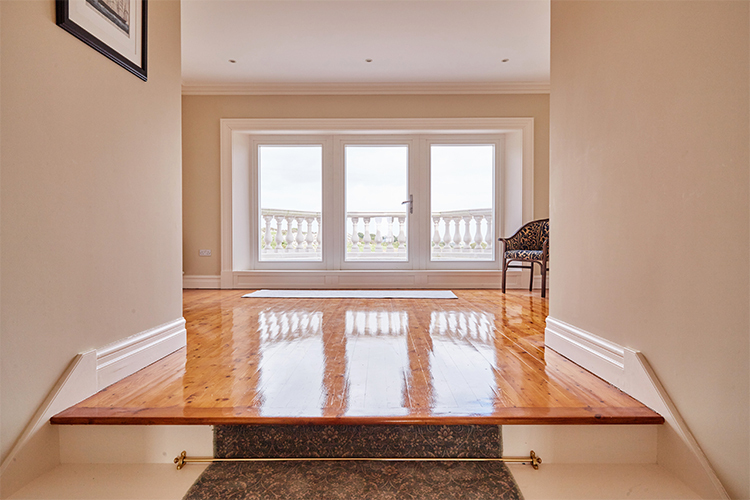 After gaining approval from the local council, the homeowner’s architect Denis O’Donovan of O’Donovan MacConville & Associates recommended Signature Windows & Doors due to their ability to supply and install high-end aluminium clad wood sliding sash windows and beautifully detailed wood french doors. 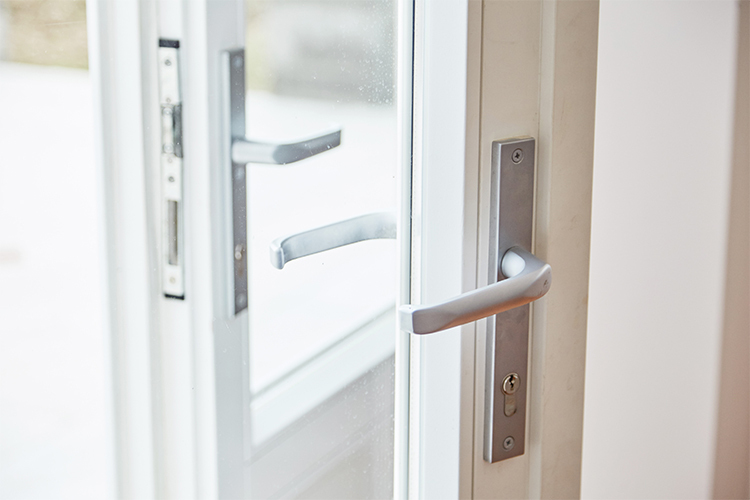 The homeowner spoke to Michael Byrne of Signature Windows & Doors. 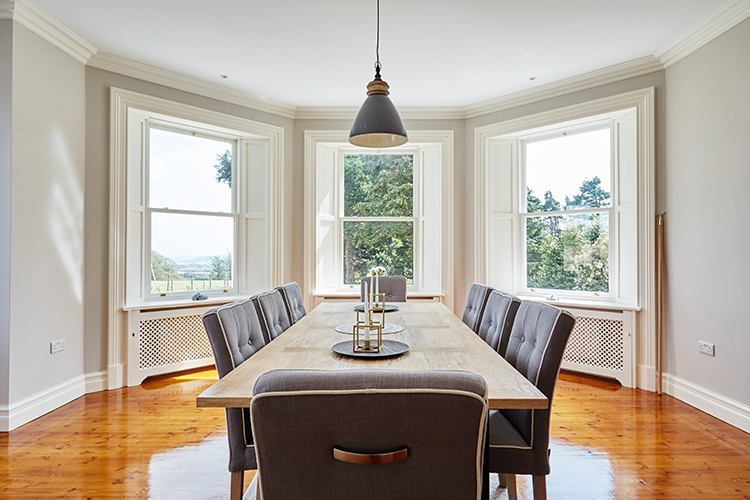 Michael presented our classic american range of aluminium clad wood sliding sash windows by Andersen and traditional range of wood french doors by Megrame. The homeowner was instantly impressed by Signature’s range of high end window and door brands and with a full service package including custom design and installation. Michael was also appreciated for his vast knowledge and experience with high performing windows and doors. 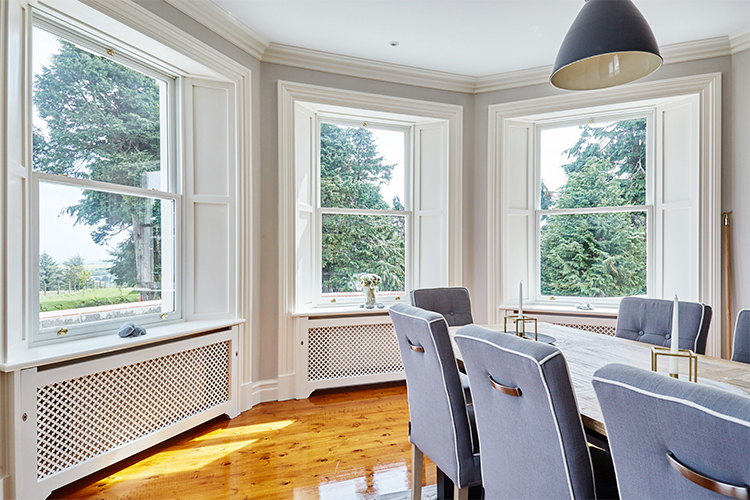 The homeowner noted how the competitor’s frames were too heavy and bulky compared to the slimmer profiles of Signature’s windows which produced narrower shadow lines. 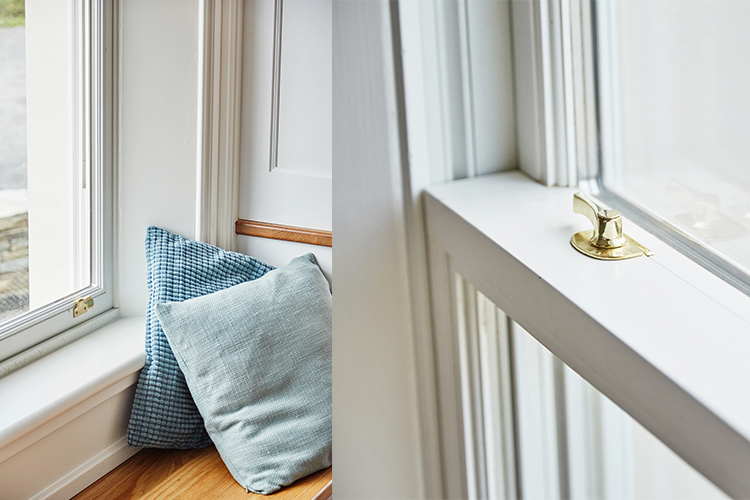 Signature’s joints are also provided with a flat finish that is almost invisible to the naked eye. This is in stark contrast to most other manufacturers who use deep vee cuts to cover up inaccurate jointing which the homeowner did not want to see in her windows. 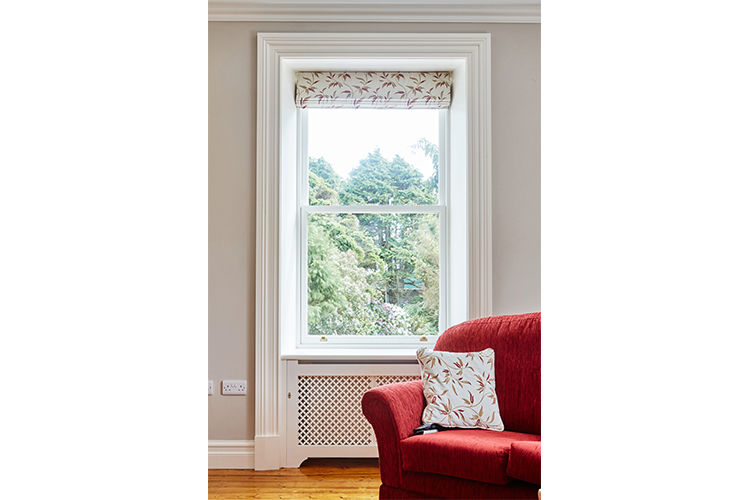 The concealed spring-loaded balance option was also a key deciding factor for choosing Signature as many competitors use heavy chain systems on their sliding sash windows. 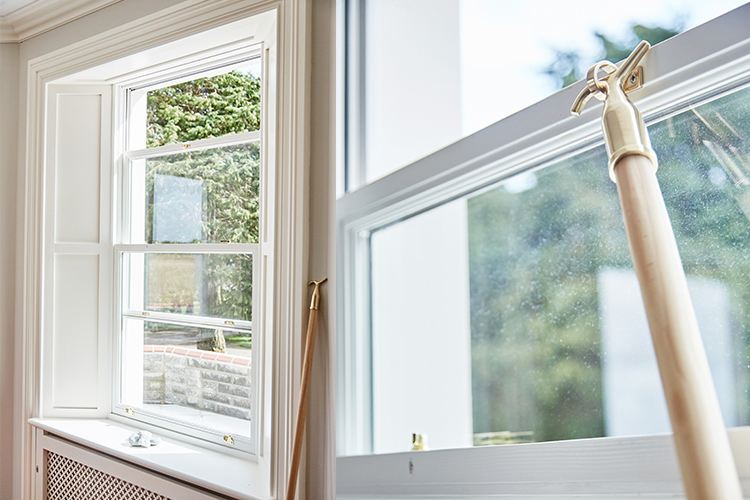 The innovative wash mode that comes with Andersen sliding sash windows also impressed the homeowner as she could clean her windows with ease and not have to rely on window cleaners in a remote area or reaching high windows with a ladder. 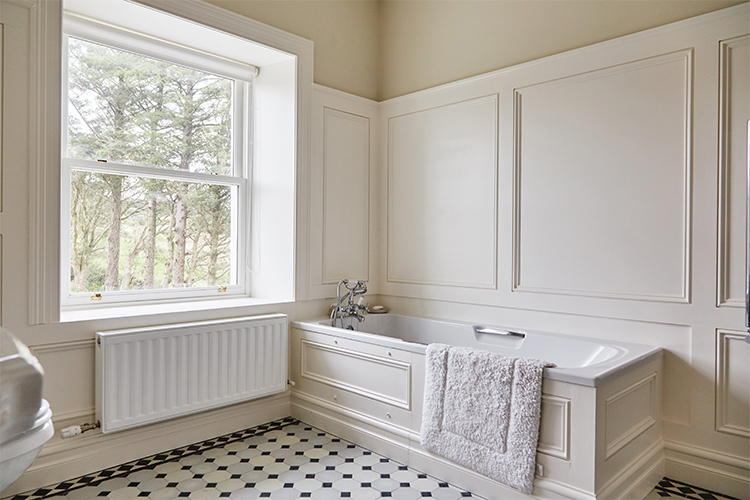 The homeowner had decided to order 33 Classic American style sliding sash windows with low maintenance aluminium cladding on the exterior in a white finish and a Douglas flir wood interior painted in Signal White (RAL 9003). 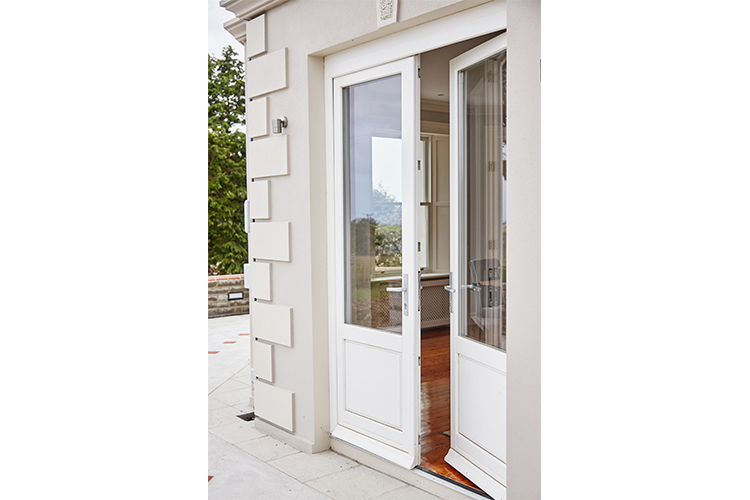 2 Traditional wood french doors were also selected by the client in a Signal White finish on the interior and exterior. Signature’s in-house team of specialists assisted this homeowner in choosing the right windows and doors for their project. 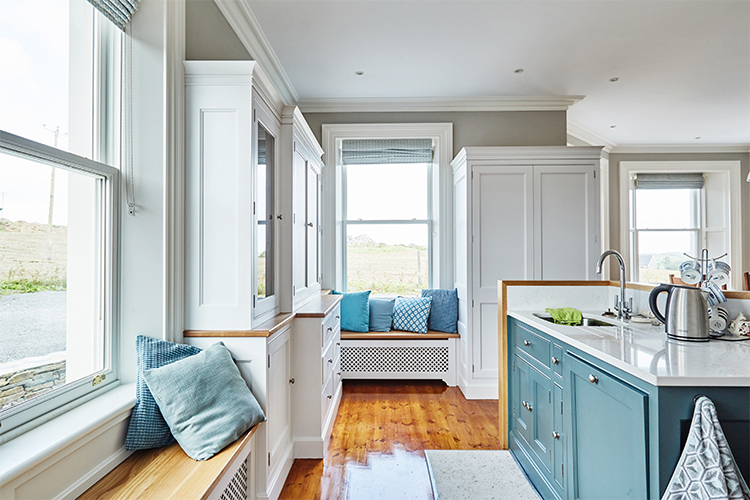 The in-house architectural department provided drawings of the aluminium clad wood sliding sash windows and wood french doors which allowed the client to envision how their window and door designs will look on their holiday home. 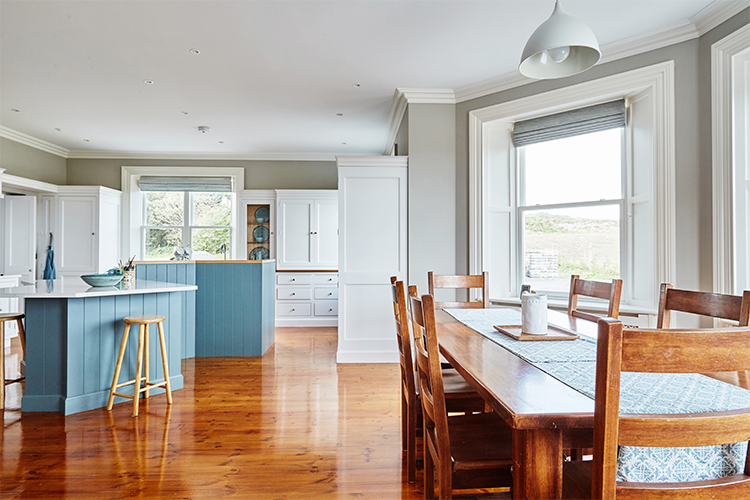 Michael made two visits to the site in West Cork before the homeowner finalised their order to double check that everything was up to standard. 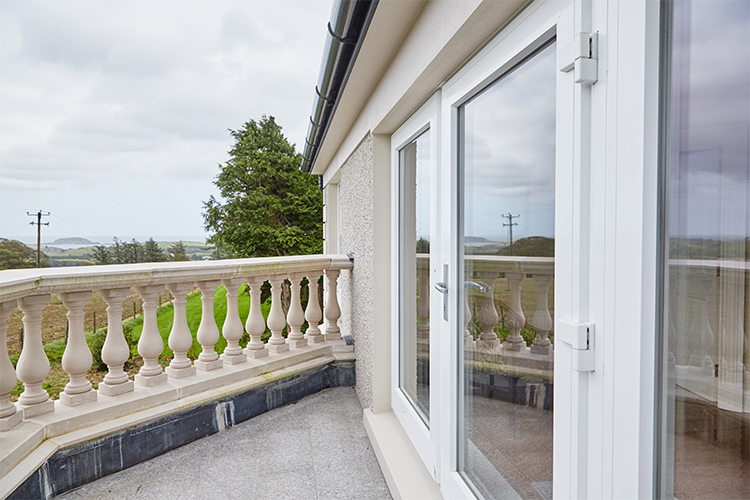 Signature’s highly-experienced installation team then installed the windows and doors to the holiday home. 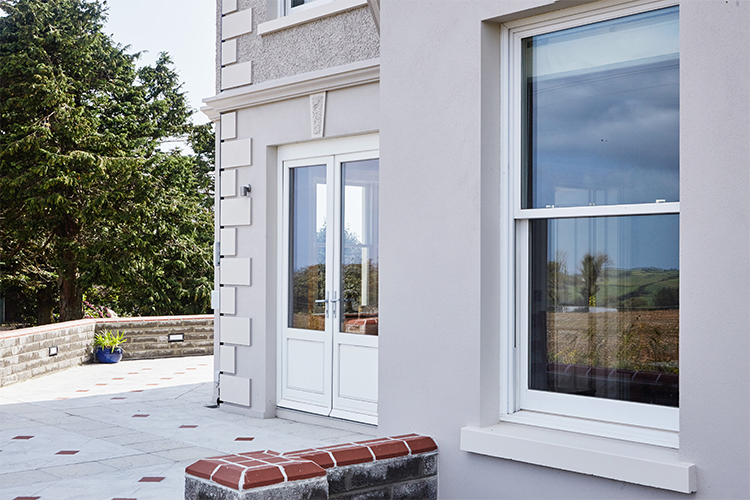 To learn more about the features and benefits of Signature’s low-maintenance aluminium clad wood range of windows and doors that were featured in this case study please click on the button below.